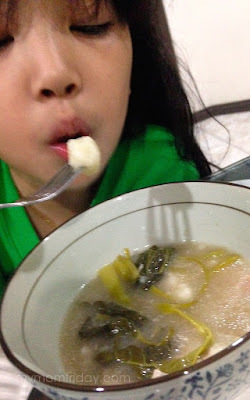 Fact: My family loves sinigang. Sinigang na baboy, sinigang na hipon, sinigang na maya-maya, sinigang na bangus, sinigang na corned beef. 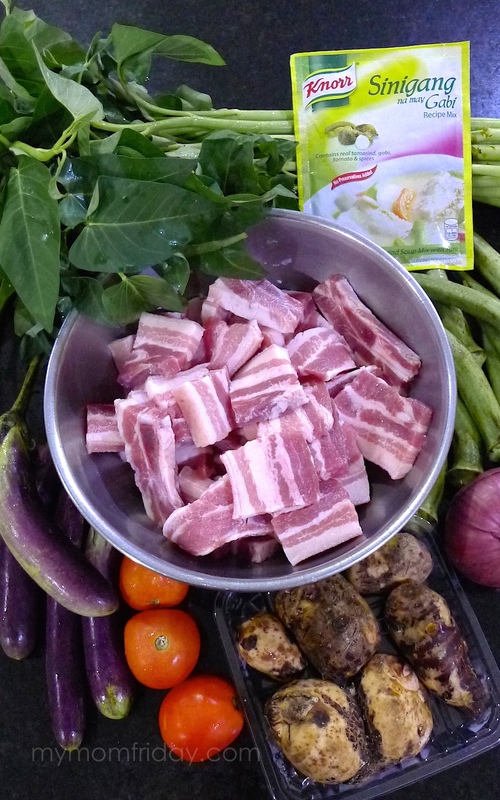 These are the different ways I cook sinigang. 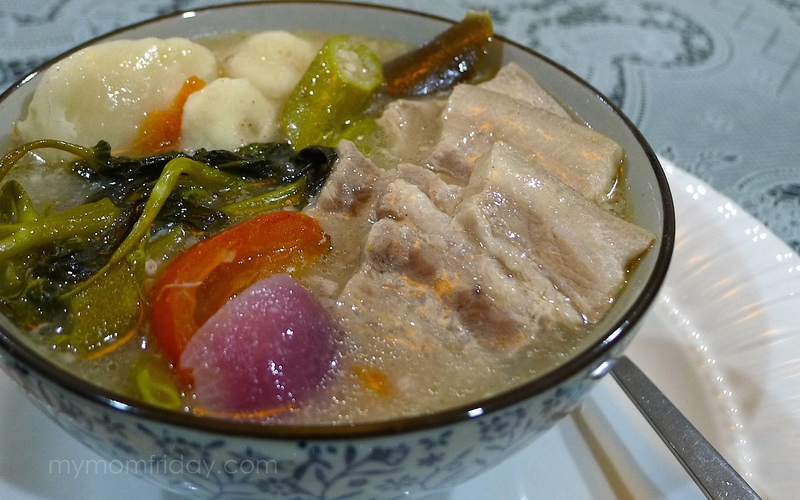 For me, the best part about serving this classic Filipino comfort dish is when my two picky eaters actually devour most of the vegetables mixed in the soup, which makes this an instant favorite in our home. There are different variations of sinigang that you can try, like this sinigang with pakwan (watermelon) which I picked up from our Knorr Lutong Nanay cooking event. Even in Filipino restaurants, they serve their own versions of this bestselling ulam. 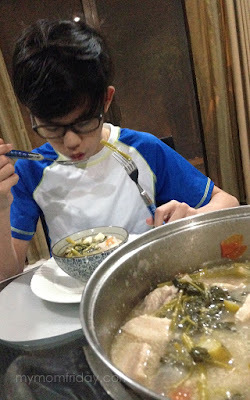 With me, my usual sinigang version is either with pork rib shoulder, bangus belly, or pork belly (liempo). For fish, I use Knorr Sinigang sa Miso. But my top choice of soup mix is Knorr Sinigang na may Gabi. Kasi, for me, the flavor is richer with the gabi/taro flavor. Here's the recipe you can try with liempo. Add the tomato and onion. Set the heat to medium and continue to boil for 15 minutes. Add the pork belly and gabi. Continue to boil in low heat for 1 hour or until the pork gets tender. Add more water, if necessary. Add the Knorr Sinigang na Gabi mix. Stir. Add the long green chili and boil for 3 minutes. Stir-in the okra, string beans, and eggplant and cook for 5 minutes. Add the kangkong and fish sauce. Stir. Cover and turn off the heat. Let it stay covered for 5 minutes. Transfer to a serving bowl and serve with rice. Share and enjoy! 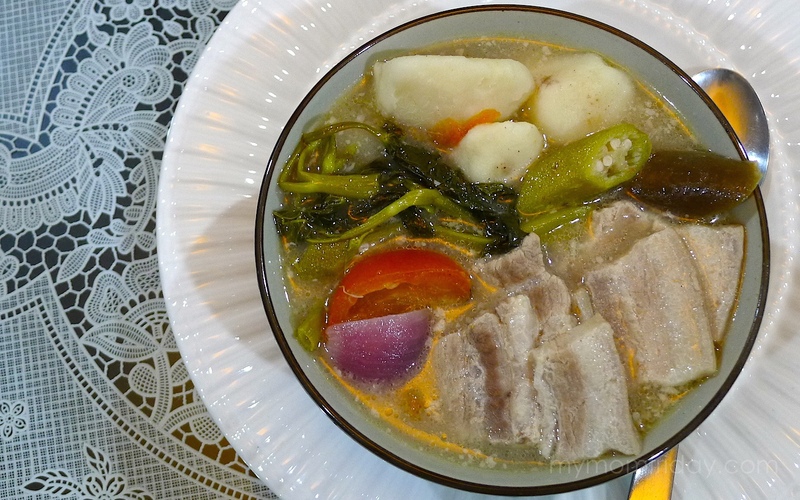 The rainy season makes me want to cook and eat sinigang even more! Agree? More rice please!! !